One day, you’re going to miss the little text messages I give you. You’re going to miss how I used to worry about you when you’re out too late. 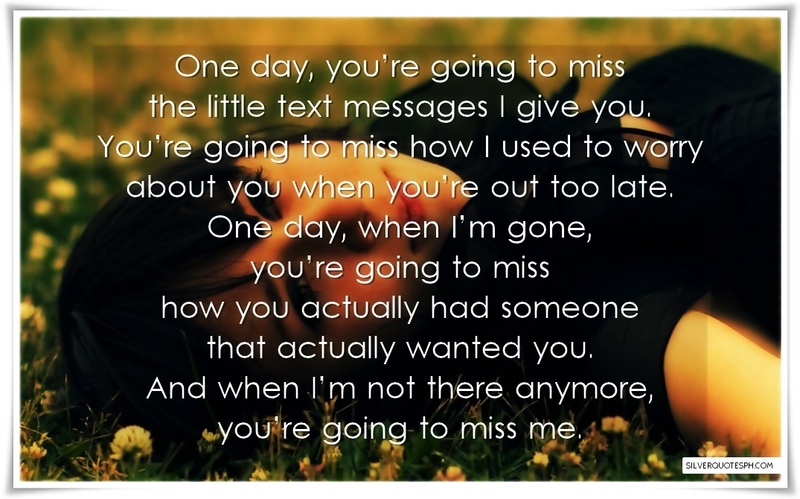 One day, when I’m gone, you’re going to miss how you actually had someone that actually wanted you. And when I’m not there anymore, you’re going to miss me.